Retailers fretting about a slow-recovering economy have offered a host of deals to lure shoppers in early and often this holiday season. Stores are falling over themselves this holiday season to lure shoppers in with deals like matching online prices, extending layaways, and even making their own tablets. What that means for shoppers is likely the best season of discounts in years. This week, cheap-chic retailer Target (TGT) announced it will match online prices at competitors Amazon.com (AMZN), Walmart.com, BestBuy.com and Toysrus.com. Earlier, Best Buy (BBY)and Toys R Us also said they would match online prices of Amazon, Wal-Mart and Sears. This year, Toys R Us is even launching its own iPad competitor for kids: Tabeo. Why the mad rush to offer incentives for holiday shoppers even before Halloween this year? Store owners don't want to be caught flat footed like last year, when Americans turned up in throngs on Black Friday, the day after Thanksgiving. But then, shoppers stayed away for days, only to return for big doorbuster deals. Retailers are also wary that the slow economic recovery and high gas prices will make Americans less willing to open their wallets freely this holiday season. The National Retail Federation said that people are also worried about the upcoming "fiscal cliff," the struggling jobs market and weak income growth. 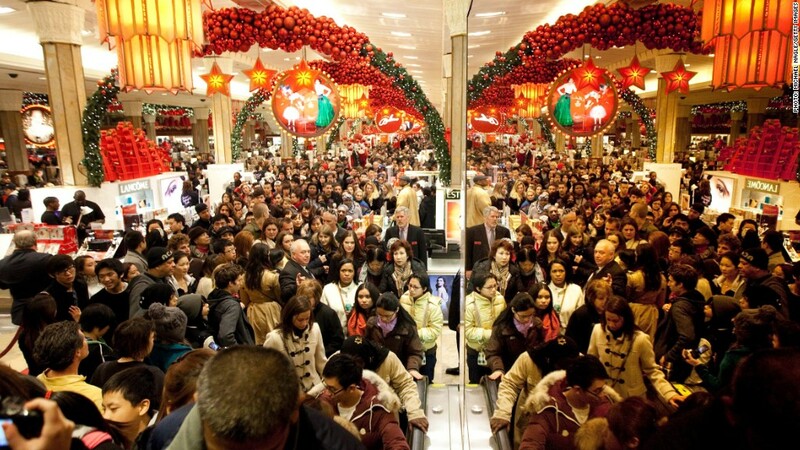 Another distraction that could keep people from shopping early is the upcoming Presidential election. "These deals are coming early and often because the economy still hasn't completely turned around," said Sheri Petras, chief executive officer of CFI Group, a market research firm. The NRF has predicted that holiday sales will rise by 4.1%, which is slower than the 5.6% increase last year. Even gift giving among the wealthiest Americans is expected to decrease 3.4% this year, a study from American Express Publishing and the Harrison Group showed. To combat these fears, Toys R Us, Wal-Mart (WMT) and Kmart also began rolling out lay away plans and cutting fees earlier than usual this year, hoping to lock in customers before they shop at competitors. The layaways are already bringing in more customers at Kmart, Toys R Us and Wal-Mart in the past month. Layaways work well for people who want to book a hot toy or other gift item before it sells out, and make incremental payments until they can cover its total cost. "People don't want to miss the opportunity to get the hot items," said Jai Holtz, vice president of financial services at Sears Holdings (SHLD), which owns Kmart. "Even though they can't afford an item, they have the ability to pay it off over eight to 12 weeks."